HOW TO PREVENT TOOTH CAVITIES/CARIES??? Today the most of us get this question in our mind,that why my teeth are like this? i don't eat that much chocolates,sweets then kya ho gaya mere dat ko? As a dental specialist i would like to tell that the answer is is hidden in our childhood days,just sit and think for while,what was our habits of eating sweets or chocolates? Parents should understand the importance of their child's teeth, whether they are permanent or milk teeth.They need same level of mild care.I think every child should undergo basic cleaning twice in a year.The basic rule for maintaining oral hygiene is so simple,just two time brushing,use of mild mouthwash,and daily floss your teeth, that's enough. 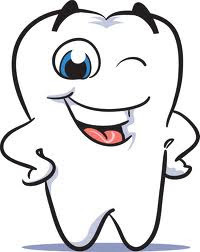 There is no need for an extra care for your teeth, make them as a part of your daily routine,brushing and flossing.